Amp up your ‘thank you’ with a digital card or thank you letter that expresses your gratitude. 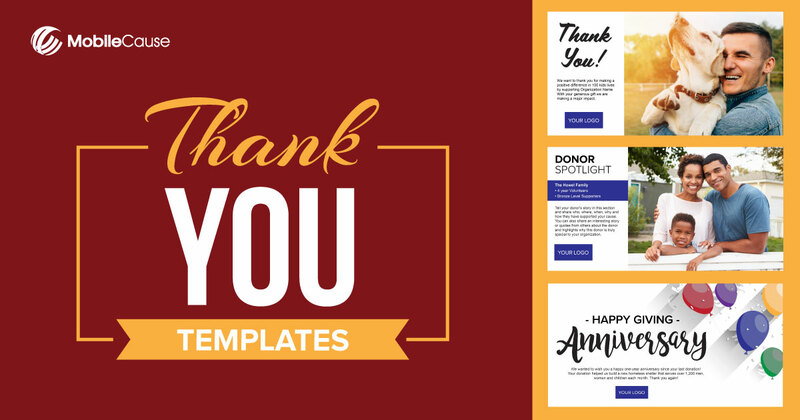 We’ve created customizable online thank you cards, donor spotlights, donation anniversary and thank you letter templates for you to choose from. Simply add your own images, customize the message and add your logo, and within minutes you can be sharing with your donors.